The methods for TEMI were developed by veteran English teacher Helene Jarmol Uchida as a result of working with over 20,000 Japanese EFL students of all levels by addressing their needs and observing their skills, strengths, weaknesses and learning patterns in studying English. All the components of TEMI are based on the teacher respecting the students. When the teacher respects the student, the student, in turn, will reflect that respect back to the teacher. Then and only then can any real learning take place. TEMI Methods approach language in a fascinating, fast-paced and progressive way to trigger confidence and interaction from Japanese learners who tend to be shy and reticent about speaking any language other than Japanese. 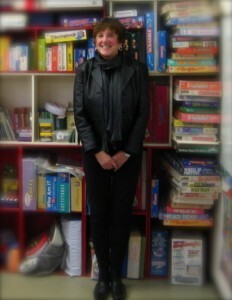 Activities include manageable challenges, such as warm-ups, self-introductions, role-playing, pair work, phonics, TPR (total physical response), guessing games, reading, writing, group interaction in English, listening comprehension, monthly aural testing, free study workbooks, diary completion, creative homework, blackboard coordination and curriculum basics while taking into consideration individual differences and needs. TEMI’s dynamic and innovative methods have been studied and successfully adopted by both Japanese and non-Japanese teachers, as well as novice and veteran instructors nationwide. They have been created exclusively for teaching Japanese EFL learners of all ages from preschool to university. They work equally well in small conversation school classes as well as big public and private school classes. B.A. English, University of Tampa, Fla. M.A., C. W. Post College, Brookville, N.Y. 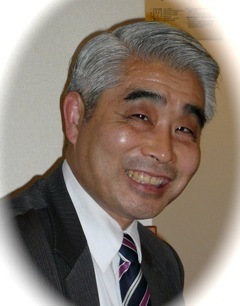 In 2008, Sohei Uchida officially joined TEMI as Executive Director, following a 12–year stellar career as an assemblyman for Fukuoka prefecture. This is great news for TEMI because Sohei has seen English education from the government side, knows about budget planning and was a former chairman of education for Fukuoka prefecture; in addition, he has lived abroad and knows first-hand how important English is for Japanese people. The good news for Japanese TEMI members is that he will be TEMI’s main presenter for our Japanese membership in their native language. Helene Jarmol Uchida will continue to do teacher-training presentations in English. Now members will have the choice of attending presentations in the language of their choice.